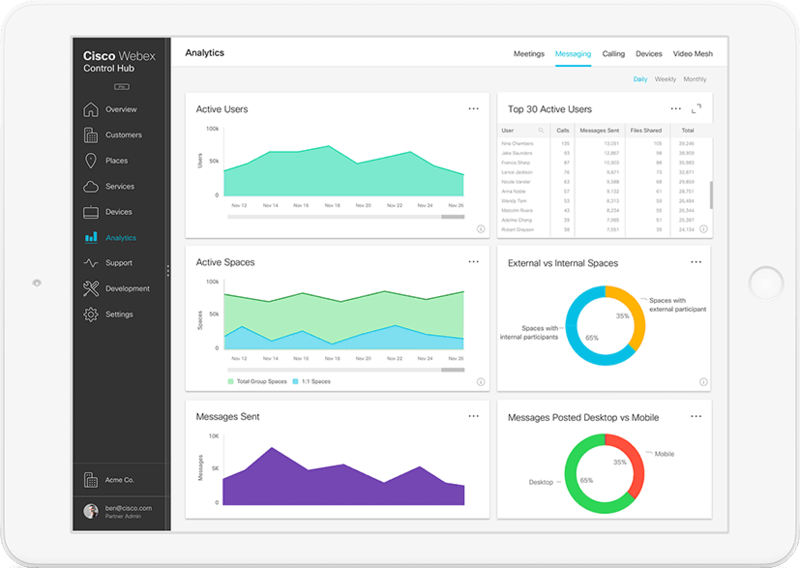 Powerful AI and machine learning capabilities for your Cisco Webex experience. 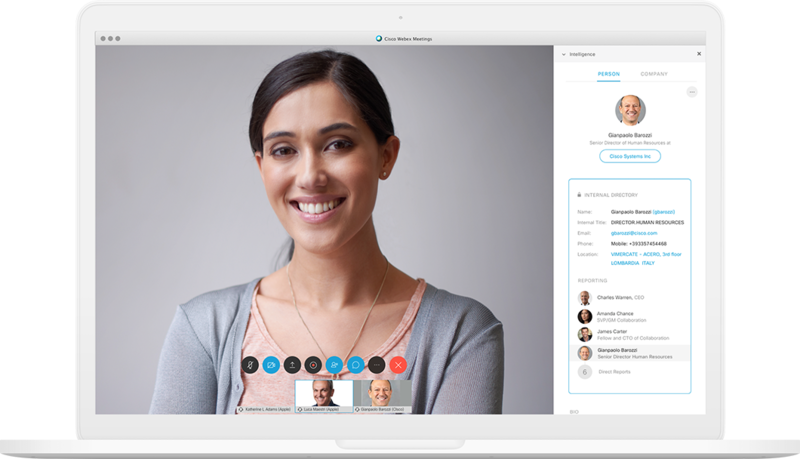 Let Webex eliminate the tedious tasks you associate with joining a meeting. 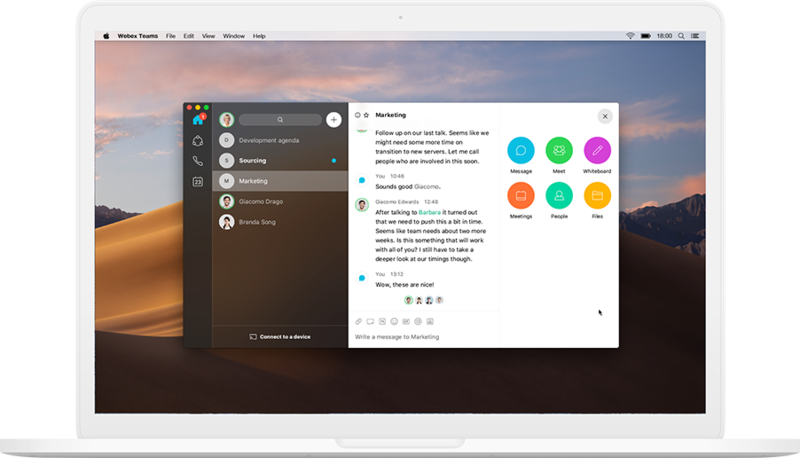 Use your voice to start and join meetings, share your screen, and more with hands-free help from Webex Assistant. When you enter a room where a meeting is scheduled, Webex Assistant will prompt you to join—simply say yes and you’re in the meeting. 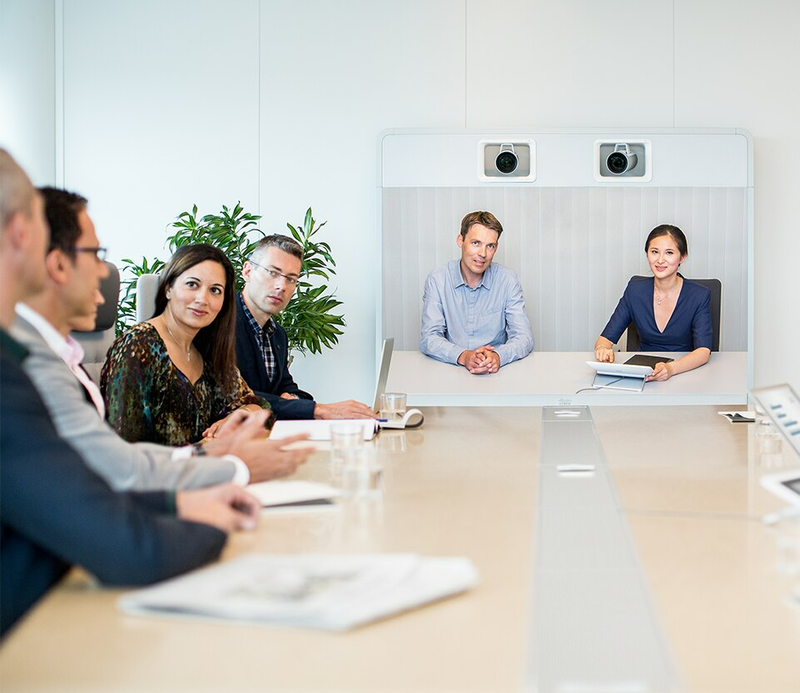 Securely pair your mobile phone or laptop to nearby Cisco Webex Devices to quickly join a meeting. 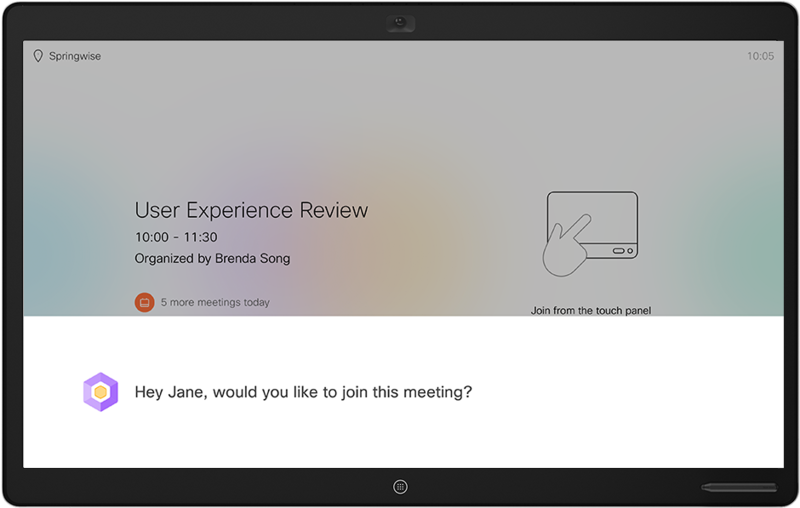 Dive into an in-meeting experience that rivals in-person collaboration. 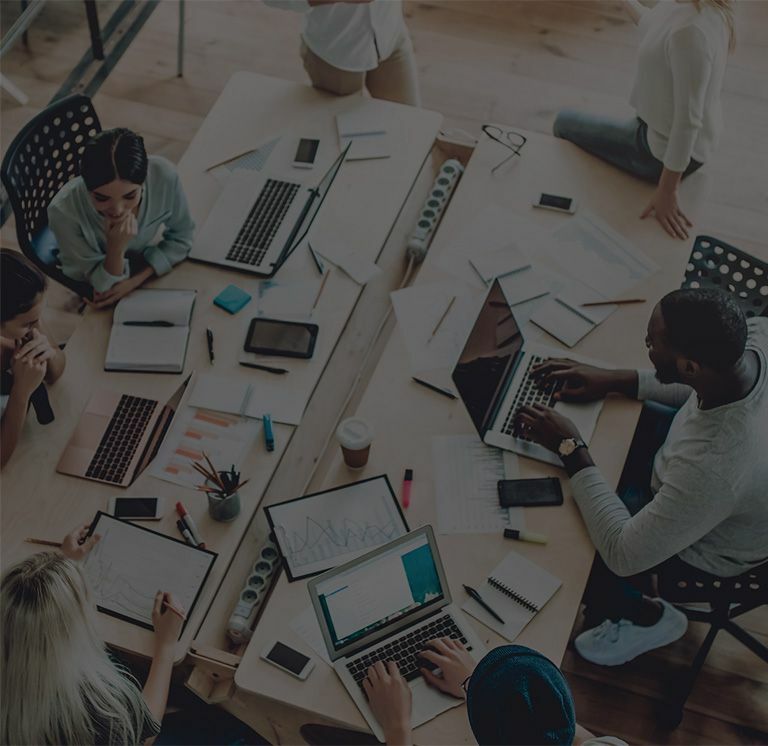 With People Insights you can quickly learn more about a meeting’s attendees with bios and recent news, professional history, and key company info. 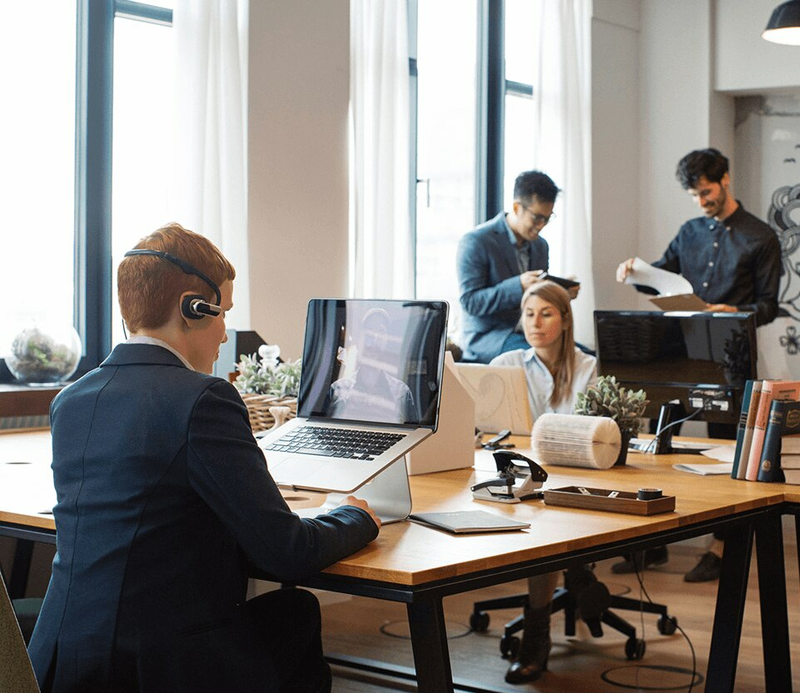 Webex Devices can securely recognize you and your colleagues, so in a crowded conference room across the globe, you can quickly identify who’s who. Webex can detect and suppress the sirens down the street, your keyboard clicks or the neighbor’s barking dog. 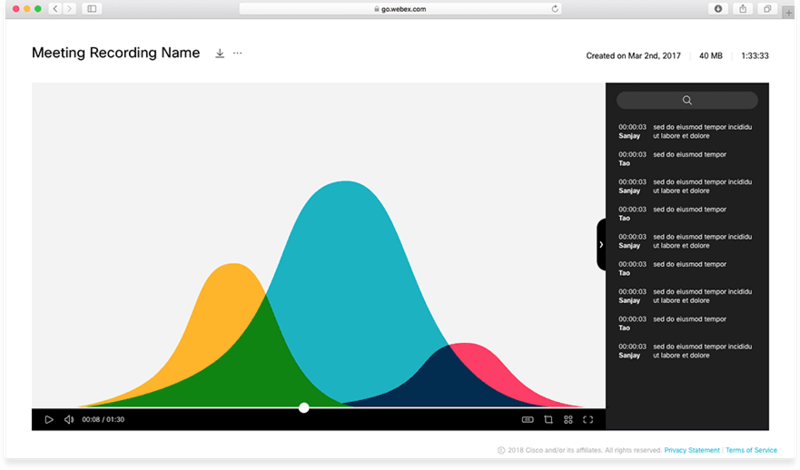 Administrators have access to interactive data visualizations that show how Webex services and devices are being used in their company. People Insights is currently a limited availability feature. To request early access, enter your information below. Thanks for your interest in People Insights for Cisco Webex Meetings! We will be in touch shortly with further instructions, and will keep you updated on the status and availability of People Insights for Webex Meetings. I would like to receive email notifications about Cisco products. 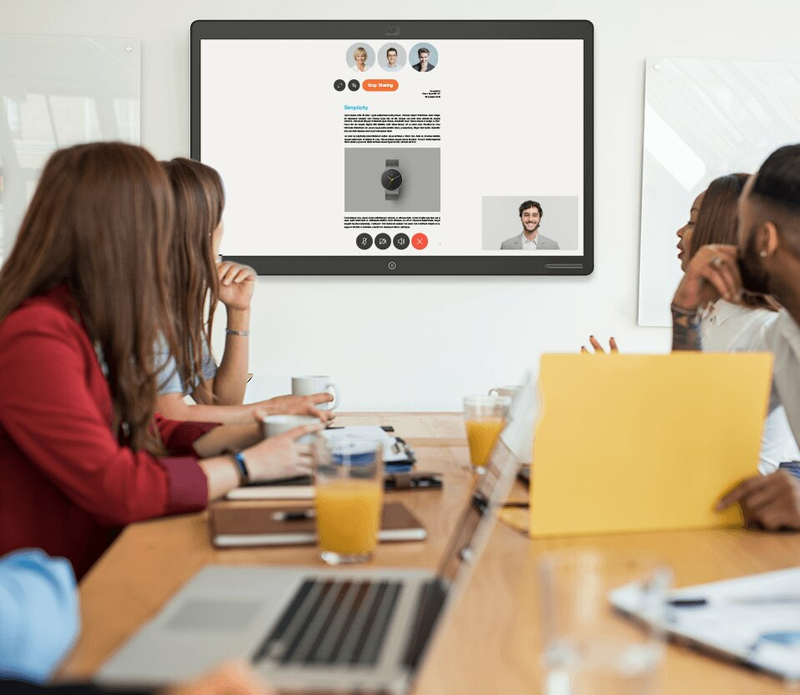 Continue the conversation in Webex Teams, the app for continuous teamwork with video meetings, group messaging, file sharing and whiteboarding. Webex uses natural language processing to deliver high-quality transcripts of your meetings. 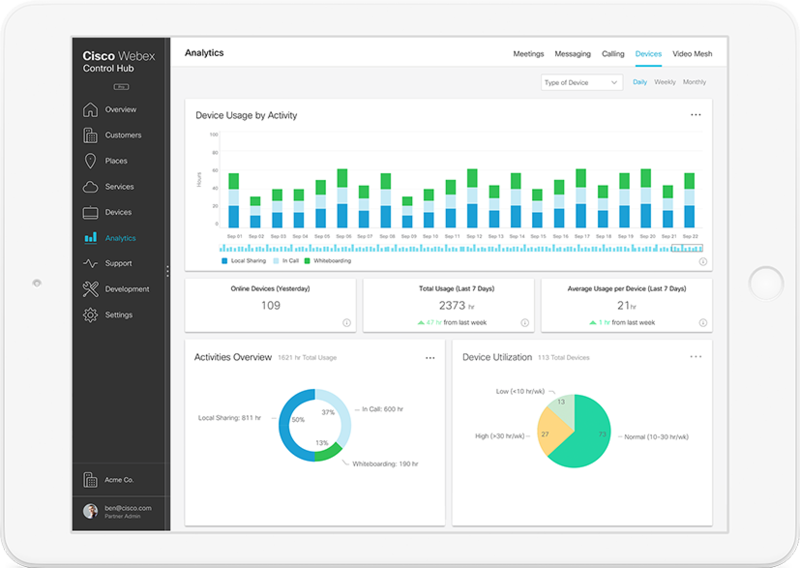 Administrators can explore in-room analytics to monitor room and device usage. 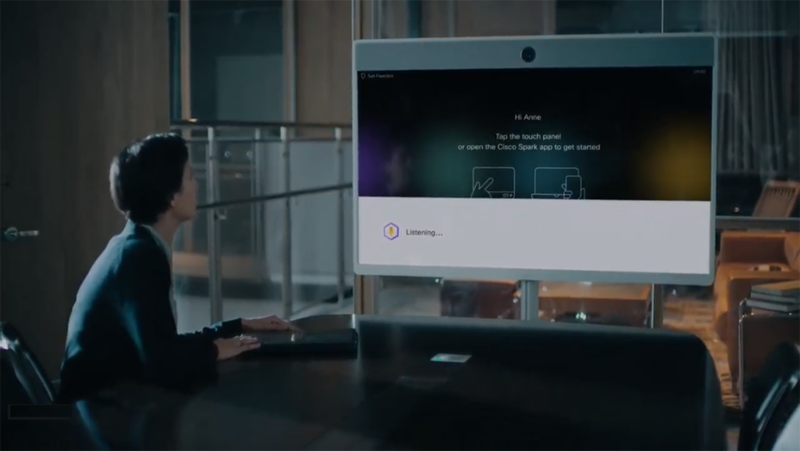 Want a peek at the future of collaboration? 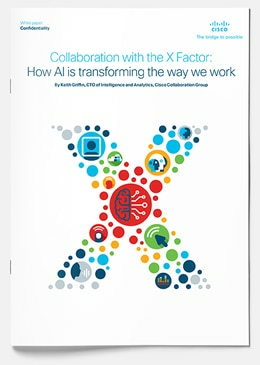 Keith Griffin, CTO of Cisco Webex, believes the future of AI will lead to truly remarkable collaboration experiences. 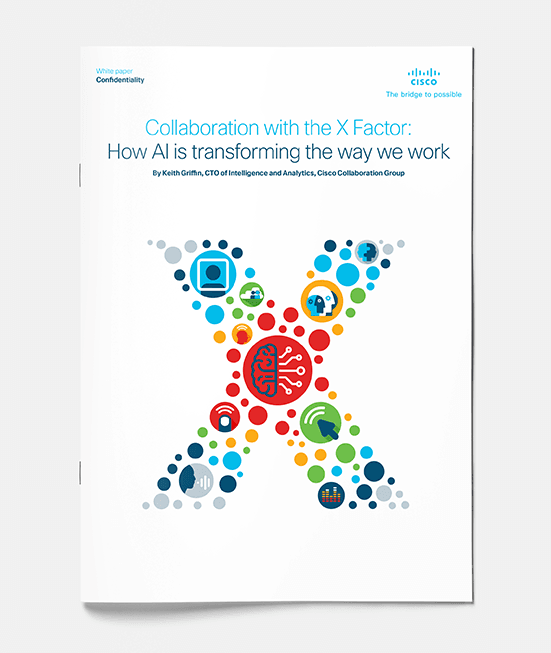 In this whitepaper, he describes how Cisco is leveraging the latest technologies to provide the best collaboration experience possible. 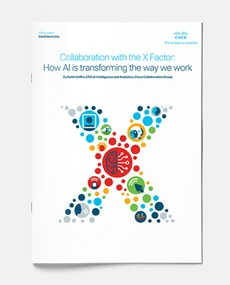 Learn more about Cisco's unified approach to AI for your entire collaboration suite.